What Is a Stroke? Stroke is a medical emergency and the third leading cause of death in the U.S. It occurs when a blood vessel in the brain bursts or, more commonly, when a blockage develops. Without treatment, cells in the brain quickly begin to die. The result can be serious disability or death. If a loved one is having stroke symptoms, seek emergency medical attention without delay. Ischemic Stroke — The most common type of stroke is known as an ischemic stroke. Nearly nine out of 10 strokes fall into this category. The culprit is a blood clot that obstructs a blood vessel inside the brain. The clot may develop on the spot or travel through the blood from elsewhere in the body. Mini-Stroke’ (TIA) — A transient ischemic attack, often called a “mini-stroke,” is more like a close call. Blood flow is temporarily impaired to part of the brain, causing symptoms similar to an actual stroke. When the blood flows again, the symptoms disappear. A TIA is a warning sign that a stroke may happen soon. It’s critical to see your doctor if you think you’ve had a TIA. 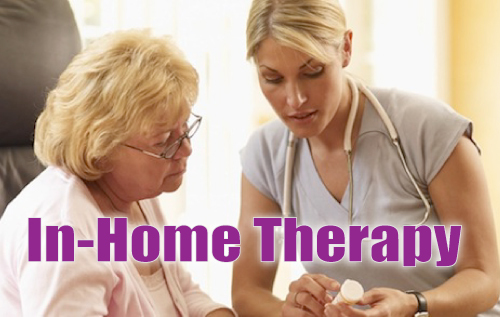 There are therapies to reduce the risk of stroke. Statistics: Stroke is the third leading cause of death in the U.S.; each year more than 700,000 people suffer a stroke. A new study shows that despite the fact that men tend to have strokes at an earlier age than women, they face an 8% higher risk of death and 90% higher risk of developing pneumoniapneumonia as a complication of a stroke. Important Facts: A common cause of stroke is atherosclerosis — hardening of the arteries. Plaque made of fat, cholesterol, calcium, and other substances builds up in the arteries, leaving less space for blood to flow. Treatment: For an ischemic stroke, emergency treatment focuses on medicine to restore blood flow. A clot-busting medication is highly effective at dissolving clots and minimizing long-term damage, but it must be given within three hours of the onset of symptoms. Hemorrhagic strokes are more difficult to manage. Treatment usually involves attempting to control high blood pressure, bleeding, and brain swelling. TIA: It’s an Emergency — One in 20 people who suffers a transient ischemic attack — TIA — has a stroke within seven days, a new study confirms. Stroke Costs Reaching Trillions –The financial cost of strokes in the U.S. will soar to more than $2.2 trillion over the next 45 years if no action is taken to improve preventive care or treatment, according to a new study. DO’s/Don’ts: Act Fast to Stop Stroke’s Brain Damage — Doctors have long urged people to get medical help at the first sign of a possible stroke. Now, a new study highlights what happens to brain cells, or neurons, when stroke treatment is delayed. “Every minute you wait, hoping your symptoms will go away, you lose almost two million brain cells,” Jeffrey Saver, MD, says in a news release. Neck Cracking Raises Stroke Risk — If you’ve got a pain in the neck, think twice about getting your neck cracked. Spinal manipulative therapy, as chiropractors call it, increases your risk of stroke. Common Myths: Many Strokes Occur in Sleep, Preventing Treatment — Many people who suffer strokes have them while they are asleep, which may prevent them from getting clot-busting treatment in the critical first few hours after a stroke, a study shows.